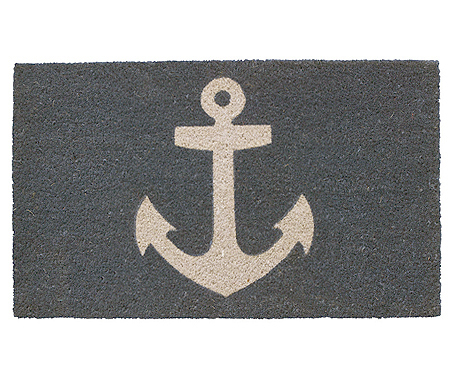 This is a thick, 100% coir doormat that features a nautical design of an anchor on a grey background. Perfect for a coastal or beach home or for those who are passionate about their boating. Measures approx 80cm x 50cm and 4cm thick.